Out together for the first time. 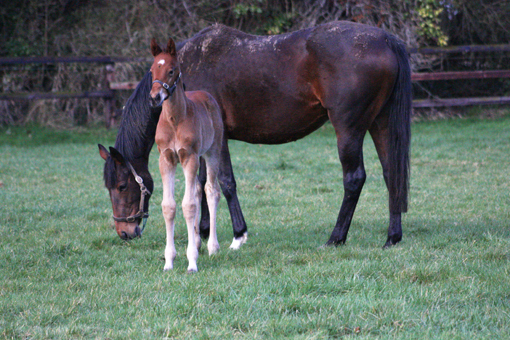 Three days after Sogno Verde foaled a lovely colt by Ravens Pass, Nisriyna also had a nice correct colt foal by the first season sire Zebedee (Invincible Spirit). She proves to be a natural mother and appears to relish her new role. If anything she is too kind and anxious but no doubt she will learn from Sogno how to put manners on her offspring! 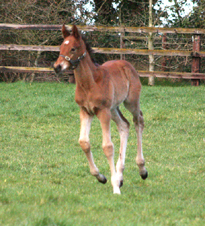 In the meantime we have received the news that Theola also had a colt foal by Azamour. This makes it a three quarters brother to Third Intention, our Cheltenham hope for next weeks big event! 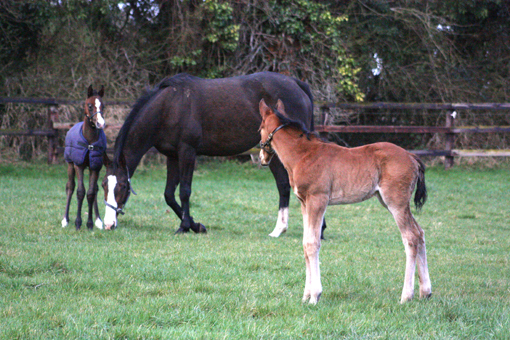 Astrolove, one of our visitors has been covered by Big Bad Bob at the Irish National Stud. 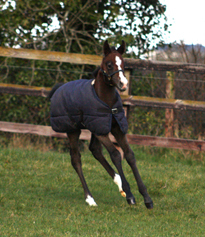 Exciting news is that Khatela has been covered by Lilbourne Lad, fingers crossed for early pregnancies! On the racing front we are happy to report that both the Kheleyf filly and the Old Vic gelding are pleasing their trainers, Mark Tompkins and Willie Mc Creery respectively. Meanwhile I am getting my daily early morning excercise at Currabeg Stables of Mr Oxx, which is a fantastic way to start the day. What is that under the rug over there? 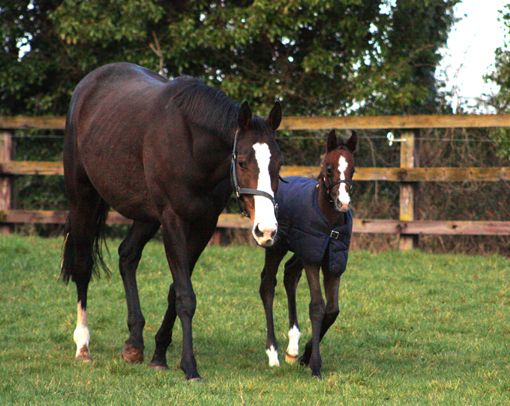 Theola with her colt foal by Azamour. 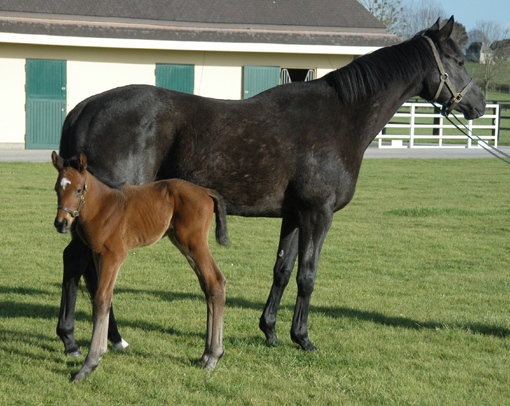 She is boarding at Haras de Bonneval.